What is a Nickel-Cadmium Battery? “Ni-Cd” is the chemical abbreviation for the nickel-cadmium batteries, and it was discovered by Swedish Waldmar Jungner in 1899. There has been a lot of progress in the manufacturing of nickel-cadmium batteries in the second half of the 20th century. 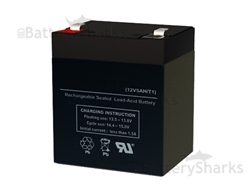 This reduces the prices of Ni-Cd batteries and makes them very popular for use in everyday life. In 2010 about 2.5 billion Ni-Cd batteries were produced. Nickel-cadmium batteries contain the chemicals nickel (Ni) and cadmium (Cd), in various forms and compositions. Sealed Ni-Cd cells can be used separately or assembled in batteries containing two or more cells. Small cells containing nickel are used for portable electronics and toys. Ni-Cd batteries have relatively low internal resistance, making them a good choice for powering remote controls, electric aircraft models, boats and cars, and cordless power tools. Larger Ni-Cd batteries are used to power electric vehicles. 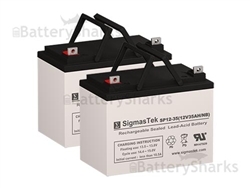 - They are much more difficult to damage than other rechargeable batteries. 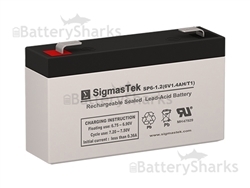 – Ni-Cd batteries last longer with respect to the number of charge/discharge cycles than other rechargeable batteries. – Compared to lead-acid batteries, Ni-Cd batteries have a much higher energy density. In addition, a Ni-Cd battery is smaller and lighter than any lead-acid battery. – They have a very low internal resistance, which maintains a low internal temperature, which allows quick charging and discharging. – Their energy density is 40 Wh / l, which in practice means that an R6 (AA) battery has a capacity of 600-1000 mAh. – They have a relatively low self-discharge when stored at 10-15% per month at ambient temperature. Ni-Cd cells have a nominal cell potential of 1.2 Volt, hence you need 10 cells to make a 12 Volt battery. They have relatively low energy density, and because of that, they are not as powerful as some of the newer batteries. One of the risks, associated with nickel-cadmium batteries is the so-called “memory effect” that makes them highly sensitive to operating mode. The Ni-Cd memory effect, affected cells that were constantly half discharged. The result is that after multiple partial discharges the cell would only discharge to the level it had been repeatedly discharged to. The Ni-Cd battery contains toxic metals that are considered environmentally unfriendly. This means that if the batteries are a part of your equipment, each battery must be removed before the equipment can be disposed of in a landfill or a recycling center. Finding a place that will dispose of these batteries is becoming more difficult. Choose a cool, dry and alkaline resistant place. The temperature range for battery storage is between -20 ° C and 45 ° C. Also, take care that NiCad batteries have a charge of between 40% and 0% when you intend not to use them for some time. It is not recommended for nickel-cadmium batteries to be stored for too long.